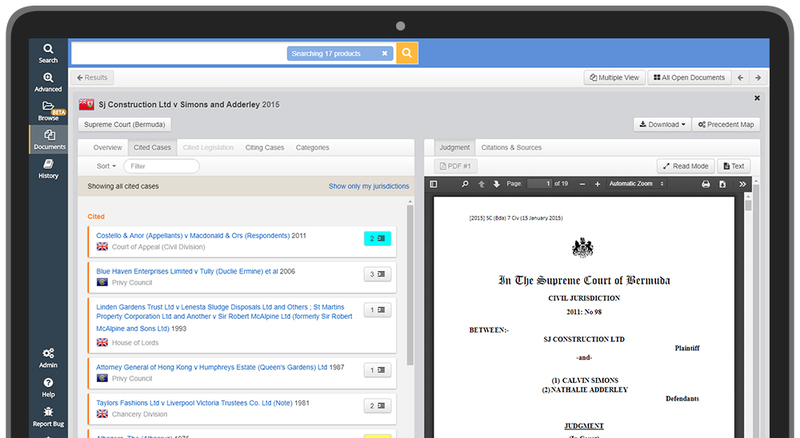 Exclusively available on JustisOne, the largest collection of Caribbean case law covers 18 jurisdictions dating back to 1950, including all superior and appellate courts, the Privy Council, Caribbean Court of Justice, superior and specialist courts. 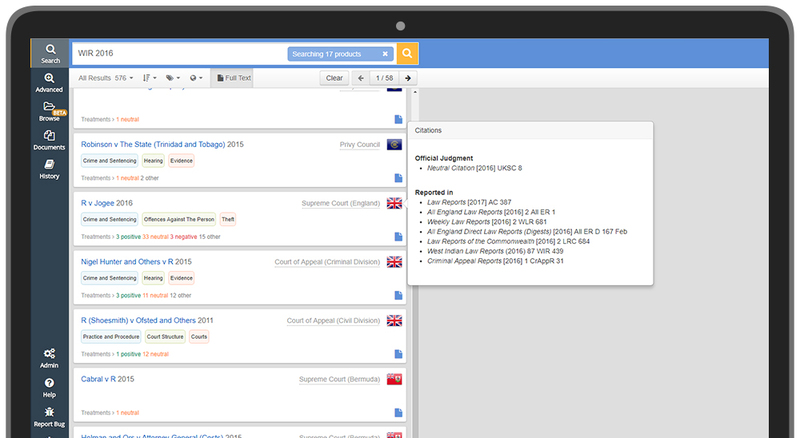 Justis also provides the largest collection of UK superior court judgments, the largest collection of Irish case law, extensive Australian, New Zealand, Canadian and international cases, all on JustisOne. 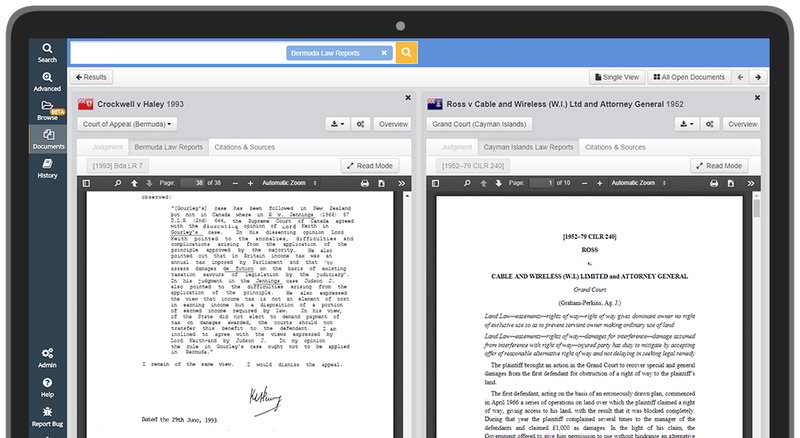 A partnership between the University of the West Indies and Justis has bought together CariLaw’s extensive and exclusive content with the collection of Caribbean cases already available on Justis to create a truly essential resource for law students, academics, legal professionals and government departments. Our Caribbean Core package includes over 53,000 cases from the Caribbean Court of Justice, Eastern Caribbean Supreme Court, Anguilla, Antigua & Barbuda, Bahamas, Barbados, Belize, Bermuda, British Virgin Islands, Cayman Islands, Dominica, Grenada, Guyana, Jamaica, Montserrat, St. Christopher & Nevis, St. Lucia, St. Vincent & the Grenadines, Trinidad & Tobago, and Turks and Caicos. Bermuda Law Reports and Cayman Islands Law Reports are the official law reports for both countries, comprising of considered judgments from the high courts, including the Grand Court of the Cayman Islands and the Supreme Court of Bermuda. Both series offer a wealth of new material and are a vital repository for practitioners and librarians in the Caribbean and other offshore territories.Bermuda Law Reports are available exclusively through Justis, and Cayman Islands Law Reports are exclusive to Justis outside the Cayman Islands. JustisOne is updated daily, and over 100 Caribbean cases are added each month. Important cases are often reported in different series and publications. JustisOne links together the different citations and versions of a case, making it easier for you to find what you’re looking for, and without unnecessary duplication. 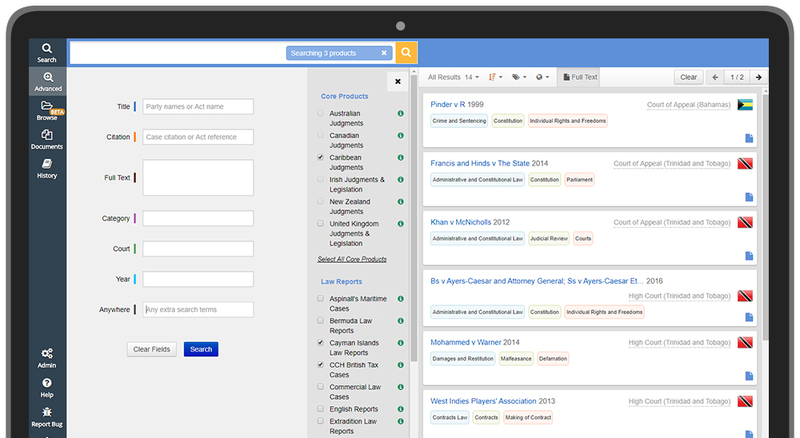 On JustisOne you can search for transcripts of cases published in: West Indian Law Reports, All England Law Reports, Weekly Law Reports and more.